"Death is a stripping away of all that is not you..."
I was in the room with my father when he died on April 24th, 2006, I held his hand as he took his final breath. I'll never forget that surreal moment. The irony of holding my father's hand as he died, when he was barely present for my own life. I buried that trauma with alcohol, cocaine, designer clothing, and an illusion of "importance" in the New York nightlife scene. Feeding my ego, and filling that void with toxins (and toxic relationships) spearheaded my decision to get breast implants in the summer of 2007. I felt so small, and worthless - and believed that somehow getting my chest augmented would make me worthy, desirable, "important". Making that choice, and looking back to that time seems so foreign, and unfamiliar...a meta-metaphor in many ways in and of itself. I was a small AA cup, and went up to a full C/small D. I allowed myself to be cut open and filled with silicone so that I could somehow dissolve my insecurities by becoming this artificial automaton. The last 11 years have been filled with lessons, revelations, reflections, the continuous journey of the death of ego, and "progression through unlearning". Part of this unlearning, part of this "stripping away all that is not", has been to step further into candor, and authenticity - by using my voice to educate, elucidate and inspire. So, with that being said, I am choosing to use my voice to share my journey into removing my implants, by shining a light on my own struggle with #BreastImplantIllness (YES, this is absolutely a thing), and the ticking time bombs that are normalized because of our society's pressure on women to live up to the unrealistic standards of toxic (oversexualized) men. My explant date is on 3/8, with the incredibly talented and respected Dr. Lou-Jean Feng (@drlujeanfeng). 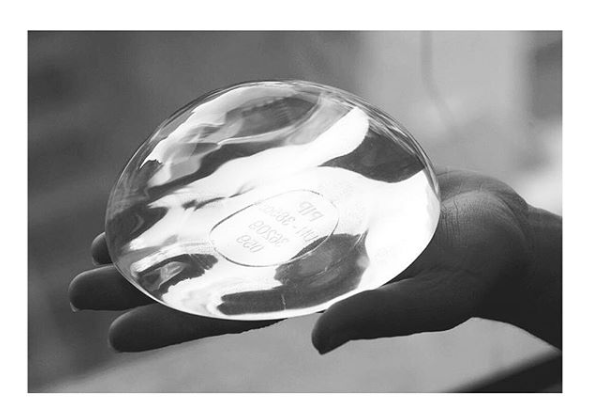 I will be sharing more and more as the date gets closer, and hope that this journey can serve to educate on the true cost of beauty to those who are considering getting breast implants.